Ed Sheeran fans enjoyed a special encore performance after Friday's concert at Hampden Park. Thousands of Glaswegians flocked to the national stadium this weekend to see the star singer-songwriter perform. Sheeran played some of his favourite hits including 'Perfect', 'Shape of You' and 'Photograph'. 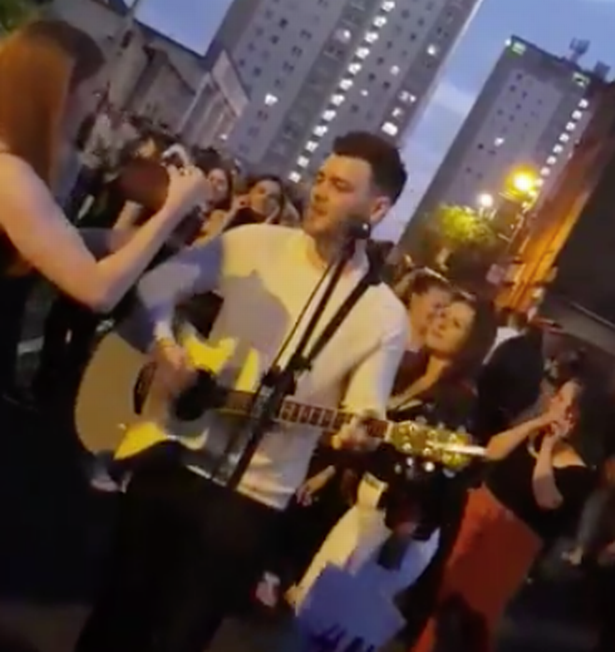 And busker Andrew Bargh, who played for fans outside the arena at the end of the gig, managed to whip up quite a crowd with his own version of Sheeran's 'Castle on the Hill'. Video shows ecstatic concert-goers join in the fun, by singing and dancing along, as they make their way home not long after seeing Sheeran perform the song inside the stadium. 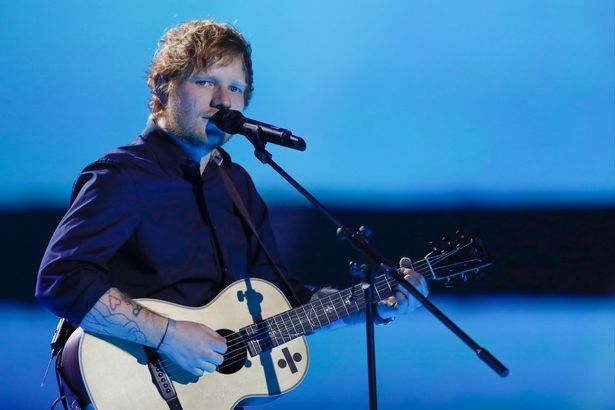 Andy, who lives in Glasgow, and can regularly be seen with his guitar outside of concerts at the likes of Hampden, the SEC and the Hydro, told Glasgow Live: "I could hear the concert from my spot and when Ed Sheeran was finishing there was already a steady stream of people heading home. "Castle on the Hill is a fairly upbeat one so I started on that and within a minute I'd gathered a bit of a crowd who were getting involved. "It was getting busier as all the fans left the stadium so I played the song again and by the end of it there were a few hundred folk standing around me all singing along. "It was fantastic. The main reason for busking is to earn a bit of money but when something like that happens it makes your night no matter how much you earn. "I played after the gig on all three dates and I got a similar reaction each time, but it was very unexpected on the Friday and its a memory I'll never forget. "I got an amazing rush off playing to the leaving crowd and the few hundred who gathered around me, so I can't imagine how Ed Sheeran feels playing to 50,000 three nights in a row."